“The Pros And Cons Of Using Freelance Attorneys: Perspectives From A Hands-On User,” by Carolyn Elefant, appeared on Above The Law on January 9, 2018. But what has changed over the past decade is the ease with which freelance services can now be procured for individualized and smaller scale projects through curated networks on online platforms. Montage Legal, founded in 2009, roughly marks the start of what I call FreelanceLawyer 2.0, but since then numerous companies have followed on Montage’s heels. The article discusses how dozens of companies launched after Montage Legal started the Freelance Attorney Network trend in 2009, but two of the most prominent companies have already folded. 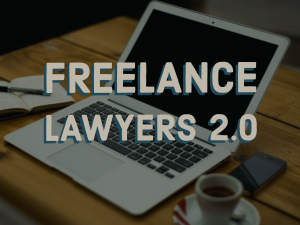 It mentions a handful of companies that still exist today, but after clicking through these freelance networks, many these companies seem to be fully-automated platforms (unlike Montage’s personal network), or seem to include low-rate, low-level freelance lawyers. Montage Legal Group has never tried to be “cutting edge.” Rather, we simply strive to do whatever makes the most sense to the attorneys in our freelance network, our law firm clients, and their clients. Our mission sometimes brings us to new technology, and other times we realize that an older method remains superior. But either way, we usually end up with creative ideas that help our law firm clients grow and thrive. We hope to continue this trend with more prosperity in 2018 and beyond. Thank you to Carolyn Elefant and Above the Law!